The shells were manufactured in 1943 and still work! The Coffman starter uses a specially made 4 gauge paper shell with an electric primer. It is filled with .25″ and .187″ diameter cordite pellets for slow burning powder. The shell fires into a starter assembly on the accessory case of the engine, same position as an electric starter. 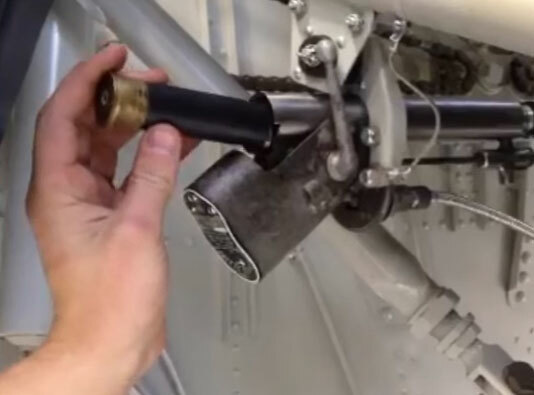 It DOES NOT fire directly into a cylinder of the engine. The gasses force a piston inside the starter assembly forward towards the engine collapsing spiral gears on top of each other converting it into a circular motion. This engages the starter dog and rotates the starter gear. After the piston reaches the end of its travel a valve released the residual pressure and a die spring resets the whole process. Wow that’s really cool. I really want to read more about war planes and other vehicles someday… such interesting history. Such an awesome / timeless design. Thoughts? Any of you guys thinking of modifying your Honda Civics to take a shotgun start? :P Now that I know about this method, I feel like turning a key or pushing a button is so lame. 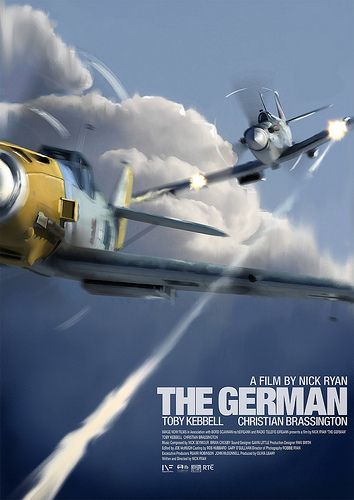 A British fighter pilot pursues the german ace that shot down his friend across sky and country… with murder in mind. But he discovers it’s not so easy to kill a man when you have to look them in the eye. €70,000 converts to $110,000 USD today which seems like a lot of money to me for a 9 minute movie. They did a nice job on it though. According to wikipedia, the Bombardier Global Express goes for $45 million. That’s a lot of Glocks! I imagine most people that spend $45million on a plane probably spend another couple million at least upgrading it. Plane enthusiasts in the thread were saying this is most likely a corporate jet, and that Gaston is known to have a smaller Cessna Citation X for his own personal use.